Try them on and you'll know they were custom built for your high-performance, "no-limits" lifestyle. Feel the confidence and comfort The Windshield provides while looking your best in the ultimate sports eyewear. Durable slide-hinge flexes and overflexes with ease! Shown with Brushed Aluminum Frames and Clear lenses "Fat Boy" style installed. Shown installing Brown "Fat Boy" lenses. 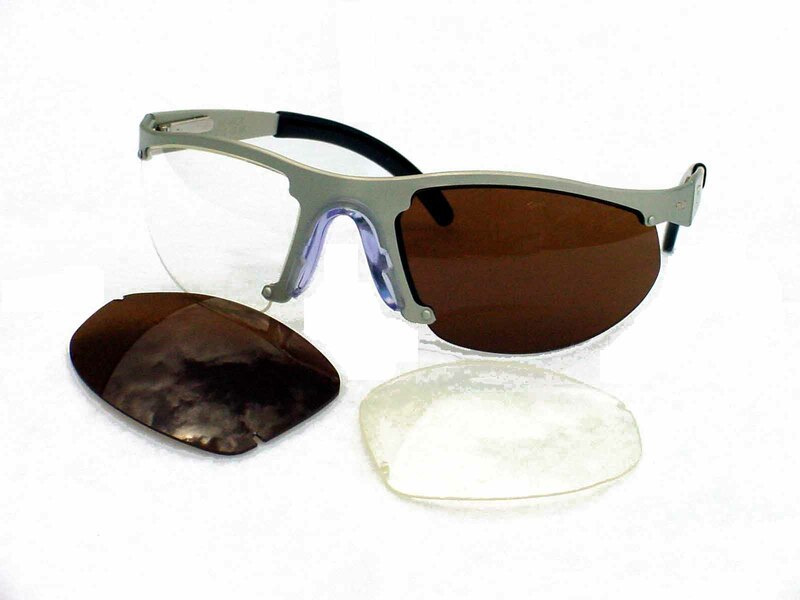 Windshield's deep wrap around design delivers high performance technology to sunwear. Windshield and its single flex hinges let you look and feel your best no matter how far you "push the limits". 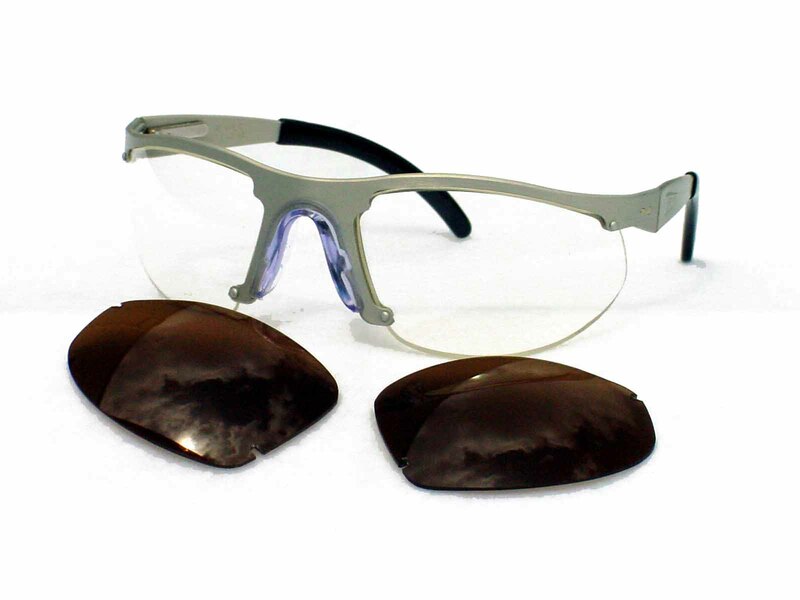 Includes a second pair of clear interchangeable lenses. Now you can choose from two interchangable lens styles with the Windshield! There's Fat Boy for Maximum coverage, or Slim for a sleek, sport look.